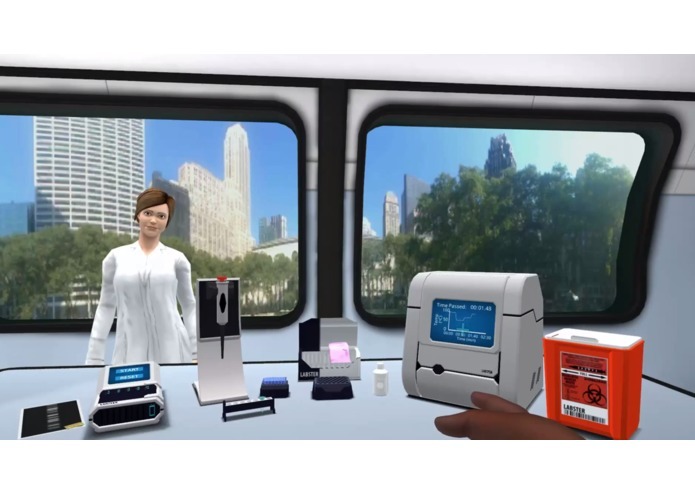 Learn how to solve a CSI murder case with Labster’s million dollar virtual laboratories and Gear VR - for free! We are a small team here at Labster that wanted to build a VR simulation, which would inspire anyone to become a scientist, solving the world’s greatest environmental and medical challenges. VR provides the amazing ability to immerse the student into new worlds and engage them like never before. With our simulation, we have leveraged as many of these immersive features as possible to demonstrate to the VR community just how great the potential of VR is for training and education. Inspired by the popular CSI TV series, our first simulation for Gear VR starts at a crime scene, where a professor was murdered. 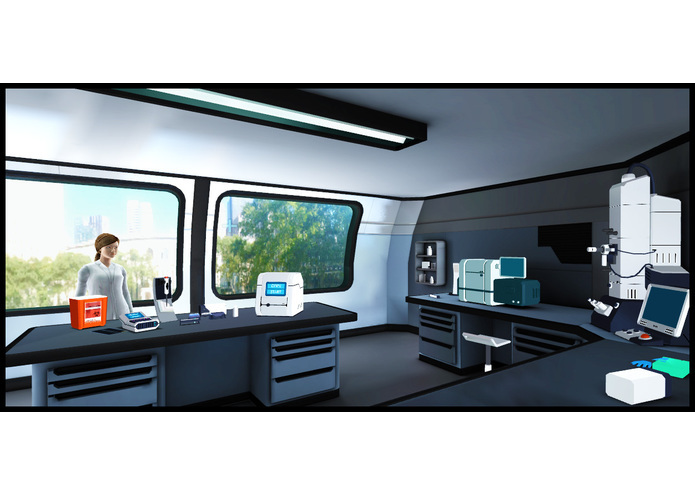 The student’s mission is to collect and analyze blood samples in the virtual lab and help the police to convict the murderer. But unlike in the TV series, you’re not just a viewer, passively watching the sidelines; in our simulation you actually become a critical part of the story and get to perform real experiments as a forensic analyst. 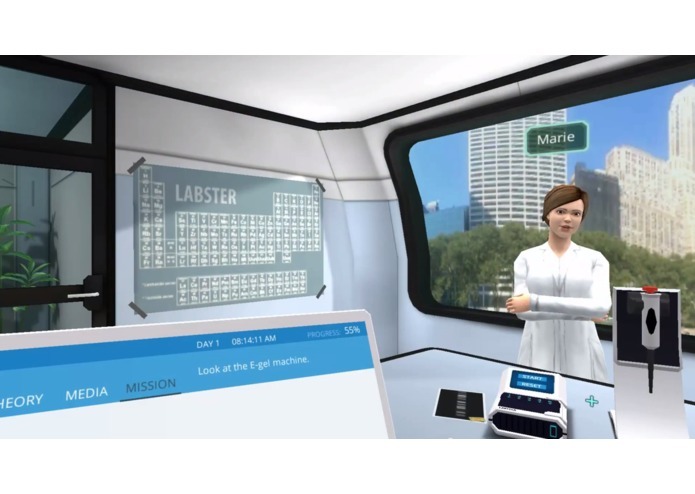 The virtual lab assistant intelligently guides you step-by-step through the learning and the experiments, as if you had your own personal teacher standing right next to you. The assistant even guides your reading to ensure you focus on the theory most relevant to your training and skill level. Additionally, she also points you to relevant videos directly viewable in your virtual LabPad. Overall, this first VR lab experience is concise and intentionally designed for people without any prior science/biotechnology background to ensure broad appeal to the mass market. Gaze to inspect objects and let the assistant know when you are ready to move on. Touchpad to interact with objects/interfaces/people in the simulation. Personal connection with the virtual assistant and police agent, as they respond to the students’ actions and physical motions (looking at objects, nodding/shaking). This engages the student more actively in the learning experience. Audio/visual rewards for progress during simulation. E.g. assistant and police agent congratulating on progress, to give a feeling of accomplishment and significance when learning new things. Again with the goal to engage the student as much as possible. Interactive LabPad (virtual tablet) is easily accessed using gaze, and is dual-controlled by the virtual assistant (or real-life teacher) to guide student through simulation and intelligently provide relevant videos and text. The LabPad could also connect to the internet for extracting data from online database. Progression checklist in LabPad to show accomplishments and give feeling of progress. Interactive storyline where the student plays the lead role in solving a murder CSI case. Goal is to make the student engaged and motivated during their learning experience, as this has been proven to increase learning speed. Time warp and instant feedback: Many science experiments take several hours or days to complete. In the VR lab, we allow the user to speed up the virtual time to reduce waiting time, and thus give the student instant feedback on their results. Using audio and visual feedback we create the illusion of travelling fast through time. Zoom in on a molecular level and observe what’s happening inside the laboratory equipment. Again the goal is to enhance the student’s understanding on a much more immersive and effective level. Most online education follows a simple step-by-step track. With Labster, we run dynamic mathematical simulations of real world experiments, creating different outcomes depending on students’ actions. We then adjust the learning difficulty and the individual learner gets quiz questions and theory recommendations based on his skill level. We are furthermore working on special multiplayer integrations, which will allow a student to request real-life teacher assistance at any time during a simulation. 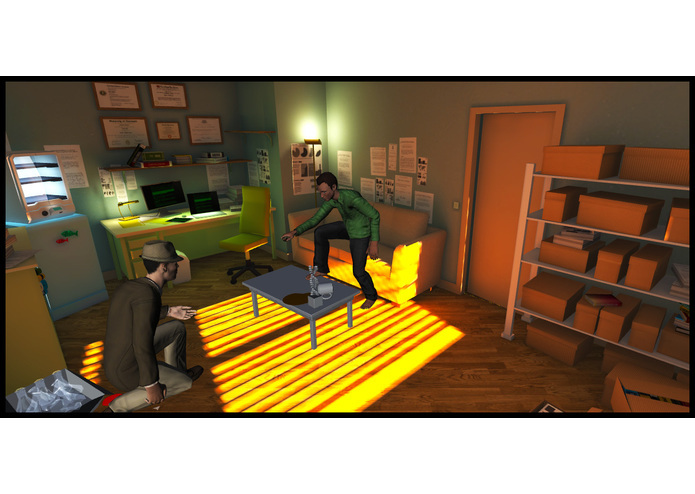 A teacher, sitting at a normal laptop anywhere in the world, can then teleport into the student’s simulation, and see their progress and ask questions to the student, and guide him/her through the remaining steps of the experiment.